As per Section 16 of the Legal Aid Act, 2000, all applications for getting legal aid must be submitted to the National Board of Legal Aid or in appropriate cases to the District Committee. The procedure for applying for legal aid by the poor is not practical.83The present law compels indigent litigants to travel to the District to get legal aid which is very disadvantageous for them. As per Rule 3(2) of the Legal Aid Rules, 2001, for legal aid for any matter in the Supreme Court, application is to be made to the Chairman of the National Legal Aid Organisation, i.e. the Law Minister. Making an application to the Law Minister seems to be a big hurdle for an indigent client. It has not been clarified in the Rules how and to whom an indigent client will approach for legal aid in the Supreme Court matter. Few lawyers or judges in the Supreme Court know anything about this system. There is no uniform printed form for application for legal aid. The available form is very cumbersome and difficult for the indigent litigants to fill up. According to the present legal arrangement, a person is not entitled to get legal aid whose income is more than taka 3000.00 per annum. A person of such a meagre income is rarely found. An indigent client whose income is below taka 250 per month faces the real problem as to how he/she proves his scanty income or convince the legal aid committee to believe him to be an indigent. There is also a fundamental question as to whether an indigent client whose monthly income is below taka 250 does really face any court case apart from some criminal allegation or arrest. Even a slum dweller or a beggar earns more than this amount. There is no specific guideline on the basis of which the said committee determines a litigant to be an indigent litigant or not. The law only allows the fees to be paid to the appointed lawyer. There is no specific rule about other expenses such as court fees, commission fees, adjournment cost. TA/DA for witness if necessary, and other miscellaneous expenses like photocopying or releasing documents etc, It is impossible for a client whose monthly income is below taka 250 to afford these if he does not get any help from the Government as part of legal aid. The duties and responsibilities of the Co-ordinators are not defined and his responsibility to report to the District Judge is not made mandatory in the Legal Aid Act, 2000. There is no provision for any advance payment to legal aid lawyers. In case of filing new cases under the legal aid scheme, appointed lawyers very often seek prior allocation of fund for payment of court fees and meeting incidental expenses. This is an outstanding factor, which requires proper decision. Before filing a suit, the indigent client has to collect many documents which has a cost-consideration involved and which is beyond his means. Condition of five years practice for the empanelment of an advocate as provided in the Act86 is debarring many young lawyers having attitude to help indigent people and thereby to serve the community. Also is the fact that lawyers with five years standing keep themselves busy with their own briefs. As per the provisions of the Legal Aid Act, the client has to choose advocates from the panel of three advocates formed by the committee. By this, the client is actually debarred to engage advocate of his own choice. 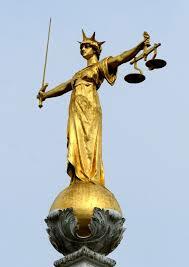 There are some obstacles derived from the defects in the Legal Aid Law to implement the legal aid scheme in practice. By focusing on these obstacles, the real situation in providing legal aid in Bangladesh practically could be realized and then it will be easy to find out the solutions so as to overcome the situation. There is no media propaganda about the legal aid and so people are unaware of the government initiative.87 The lack of awareness about the legal aid scheme and its purposes among the indigent litigants and also among the lawyers and judges in general, is the main obstacle to achieve the objectives of the scheme of legal aid. The distance between the Bench and Bar makes it complicated to work together. The nature of the work of District Judge isolates him from the Bar and other officials. Therefore, calling a meeting becomes embarrassing for him as he may be exposed to uneasy situation. The District Judge is disinterested in legal aid programme also because it is an extra job on his shoulder without remuneration. Being in the position of the District Judge, it is not possible for him to monitor the lawyers and see whether they are discharging their duties properly. Therefore, whether a lawyer is taking money from the client (who is mostly illiterate and ignorant) and also drawing money from the fund is difficult to monitor. The following steps to get the legal aid accepted by the committee takes a long time and a litigant who is poor cannot afford to visit the office to pursue the matter let alone bear the expense of traveling cost and other related expenses. Constitution of the Committees itself shows that it is quite impossible to bring all the concerned people in a proceeding under one umbrella on a particular day. Therefore, to hold meetings by them, becomes a futile exercise. Firstly, it is doubtful whether a poor person can have access to the District Judge as there is no specific office to register the complaint. Secondly, it is also doubtful whether after much persuasion with the office clerk the application will actually reach the committee without providing any money to the clerk. Moreover, to prove the insolvency, one has to bring a certificate from the Chairman of the Upazilla, which is also a questionable process. The funds are not allotted every year but according to need. Amounts of unutilised money in forty eight (48) districts under the GOB legal aid committee at the end of 1997 was 89,76,185.00 taka according to the Law Ministry. This plainly shows the disinterested of the committees in providing legal aid as most of the fund is un-utilized.